Stop us if you’ve heard this one before: An immersive, selfie-friendly pop-up is arriving in San Francisco with larger-than-life installations and sugary treats. Candytopia, an interactive installation inspired by all things sweet, will land in the Bay Area this September. Jackie Sorkin, the self-described “Candy Queen” and founder of boutique sweets service Hollywood Candy Girls, hatched the idea for the experience. 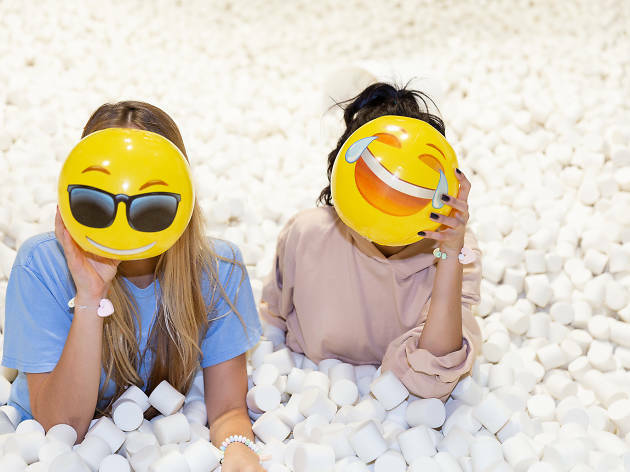 Loved by celebrities such as Gwyneth Paltrow and Christina Aguilera, the immersive confectionary pop-up debuted in early 2018 in Santa Monica to sold-out crowds. Tickets holders can expect a dozen themed rooms with elements like colossal candy creations, flying unicorn pigs and a “marshmallow tsunami.” And, of course, you’ll be able to sample candy at multiple stops along the way. While much of the same themes will be brought over from the Santa Monica debut, attendees can also expect certain SF-only components and treats. The candy-centered pop-up will open at 767 Market Street on September 6 and will run for about four months. Snag your tickets (before they sell out) next Wednesday, August 1 at noon on the website.